If you’re in the food manufacturing or ingredient supply industries, chances are that you may be heading to the SupplySide West Global Expo & Conference in Las Vegas next week. This year’s SupplySide West Expo is set to be the largest yet – and Grande Custom Ingredients Group® will be there to showcase our functional whey protein products. Our line of innovative dairy-based solutions includes Grande Bravo® Functional Whey Protein, Grande Ultra® Whey Protein Isolate (WPI), Grande WPCrisp® Whey Protein Crisp and Grande Primo™ Dried Yogurt & Cultured Dairy Products. Food and beverage manufacturers use our products in a wide variety of applications for unique challenge solutions, including water-holding functionality, fat reduction, cost reduction, protein fortification, texture improvement and nutritional improvement. 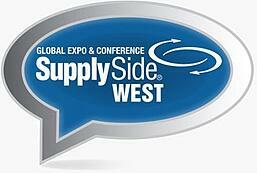 Those who will be attending this year’s SupplySide West Expo can find Grande Custom Ingredients Group at booth #32116. We’ll have samples of our products on hand, along with useful information about how our products can help solve your specific application challenges. Stop by the Grande Custom Ingredients Group booth to try a sample of a high protein, strawberry banana yogurt smoothie featuring Grande Primo Y100 dried lowfat yogurt. You’ll instantly see how Grande Primo™ replaces fresh yogurt, while maintaining both the flavor and texture of the smoothie. We’ll also be featuring a clean, ready to drink mixed berry beverage that is made with Grande Ultra 9150. You’ll be amazed at how Grande Ultra provides a clean, neutral flavor and the best clarity available to RTD beverages. If you’ll be attending the SupplySide West Expo, we invite you to stop by and visit us at booth #32116. We’re looking forward to seeing you!